Five years ago I was in a bad car accident. I received, among other things, a head injury. During my recovery, I was informed that I was suffering from Post-Concussive Migraines. And they might continue forever. If you have never experienced a true migraine, it's nothing like a headache. Not even a very bad one. It's absolutely excruciating. Truly. And it's a huge blow to be told that this kind of pain might be a continual companion. Depending on the kind you have, or your particular response, you may be incredibly sensitive to light, sound, touch, or all three. Standing might be difficult or even impossible. Driving is out of the question. Even the beating of your own heart can be enough vibration and noise to make you pass out from the pain it causes. In short, migraines are rubbish. I have been prescribed conventional medications, but I only rarely, rarely take them because I usually try to address things naturally if I can, either by modifying behavior or by trying a natural remedy. I have little slips of paper all over the place with possible remedies, some of which I have tried, and some of which I have not. So, I thought I would finally compile them into a little list of Natural Migraine Treatments. As usual, this list is not meant to replace traditional medical help. If something looks interesting or potentially helpful, do your own research and then check with your doctor to insure it's right for you and won't interfere with any other medications you may be taking or conditions you may have. Feverfew sounds like it should just be a fever preventative, doesn't it? Well, it's an herb that is a centuries-old European folk remedy for everything from headaches to arthritis to, you guessed it, fevers. It's pretty popular in England as a natural remedy for migraines, helping to reduce nausea and light sensitivity. It has anti-inflammatory properties, which may help with the pain. This herb has several potentially dangerous side effects and interactions, especially with blood thinners, etc, and people with certain allergies should not take it. NEVER take this without checking with your doctor first. The American Heart Association states that components of fish oil can help reduce inflammation, reduce blood clotting, lower blood pressure and steady heart rhythm. The reduction of inflammation may be particularly helpful in reducing migraine pain. Cayenne's active ingredient, capsaicin, has been found to lower a person's pain threshold. Just a pinch in your tea or sprinkled on your food (if you can stomach it with a migraine!!) could help ease your head pain. Don't go crazy, though. . .start with a pinch and build up to more if you feel you need it. Magnesium is a mineral that is needed for over 300 biochemical processes in the body. It's naturally found in green leafy vegetables, nuts, seeds,and whole grains, and being deficient can lead to migraines. Get your magnesium levels checked and add more magnesium rich foods to your diet to see if your migraine intensity and frequency diminishes. Peppermint is reported to have both calming and numbing effects. Applying it to your forehead and temples may help. Butterbur is another herb long used to treat migraines (as well as stomach cramps, coughs, allergies, and asthma). It decreases inflammation and acts similarly to a beta-blocker by controlling blood flow to the brain. That's a win-win for migraine sufferers! Aside from its well known burst of energy, caffeine also has a couple of other interesting effects. Did you know it can also boost the effectiveness of painkillers by up to 40%? It also helps the body absorb medications more quickly and can relieve pain all on its own. Caffeine is thought to help block receptors that lead to migraine headaches. That seems reason enough to indulge in a cappuccino! 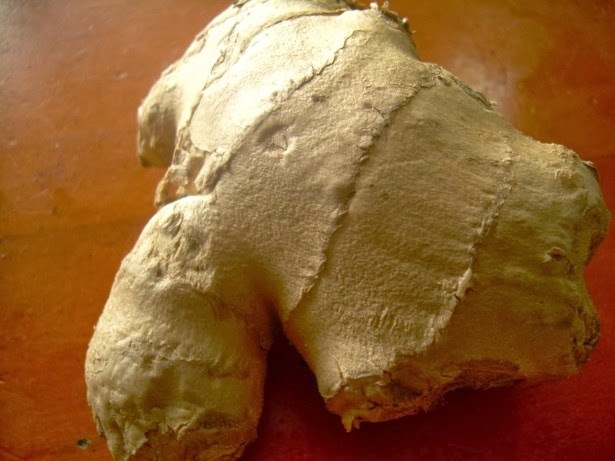 Delicious AND healthy, ginger was a lifesaver to me when combating serious morning sickness. As nausea and vomiting often accompanies migraines, there is a good application here on that point alone. But ginger is also said to contain over 200 biochemical components, which is why it has so many different useful applications and health benefits. One of those is that ginger may block prostaglandins, which are lipids compounds that stimulate muscle contractions, control inflammation and impact hormones. These combined actions may prevent migraines by stifling the action of these active little buggers. Valerian is an herb commonly used for insomnia. It's also used for anxiety, congestive heart failure, chest pain, digestive problems and gas. Many of the compounds it contains are believed to have sedative/relaxing effects which may lead to the relief of migraine symptoms. There aren't a lot of studies about the effects of Gingko Biloba on migraine sufferers, but it's believed to help reduce or prevent the damage that free radicals might cause. From the amount of water I drink, I would NEVER have any headaches if this was the only cause. Unfortunately for me, it's not. But many headaches are triggered by dehydration, so at the first sign, drink up! I don't know what I think about this one, but it's worth some investigation and a try. It's certainly a quick and inexpensive option! Simply press on the webbed space between your thumb and pointer finger for temporary pain relief. Because tension and stress are both know headache/migraine triggers, a whole-body massage may help. It sure couldn't hurt!! Not quite so fun as the massage option, but enormously beneficial in numerous ways, exercise can help prevent migraines. . .and even treat them if you can stand any kind of movement. By relieving stress, releasing endorphins, and relaxing you, regular exercise can help you avoid migraines altogether. If you can stand the motion, go for a quick swim or jog when you first feel symptoms coming on, you may avert one altogether. Taking a long soak in a warm bath while applying a cold compress to your head may help in two ways. One is the stress reduction/relaxation benefit. But also, by dilating blood vessels in the lower body (via the warmth of the bath) you are hopefully encouraging blood flow away from the head, which may ease the pressure and pain. DISCLAIMER: The information in this blog post is solely for informational purposes. which results from reading or following the information contained in this post or website. you must seek the advice of a licensed physician or other reputable health care provider. 100th Blog Post ~ Thank You!! Our Next Big Challenge? A Cecostomy! Epic Fail: Forgot Probiotic Sour Cream, Too! Making Yogurt in a Crockpot! Oil Pulling for Dental Health? What to do When You Can't Fix Your Child? What Do Children in Other Countries Eat? Finished, But Not Without a Nasty Surprise!